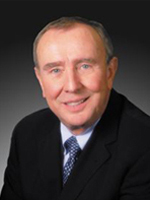 Dr. Peter Kuipers was born in Mitchell, South Dakota, and graduated from the University of Minnesota School of Dentistry in 1969. He also completed his orthodontic residency and Ph.D. in anatomy there in 1972. Upon graduation, he served as a professor at the University of Maryland’s Dental School in Baltimore until 1975. He then returned to the Minneapolis area to begin his private practices in Bloomington and Red Wing. In 1996, he opened an office in Burnsville. “Dr. K,” as his patients fondly refer to him, is a member of several dental organizations, including the American Dental Association, American Association of Orthodontists, Minneapolis Society of Orthodontists, Minnesota Dental Association, and Bloomington Study Club. He has taken numerous continuing education courses from many leading orthodontic educators such as Drs. Ron Roth, Jim Hilgers, and Vince Kobich. He thrives on staying current with orthodontic techniques through attendance at local and national meetings for himself and his entire team. Dr. Kuipers enjoys golfing and traveling with his wife Marilyn. He also enjoys pheasant hunting in South Dakota and is the proud “Poppa” of eight grandchildren.